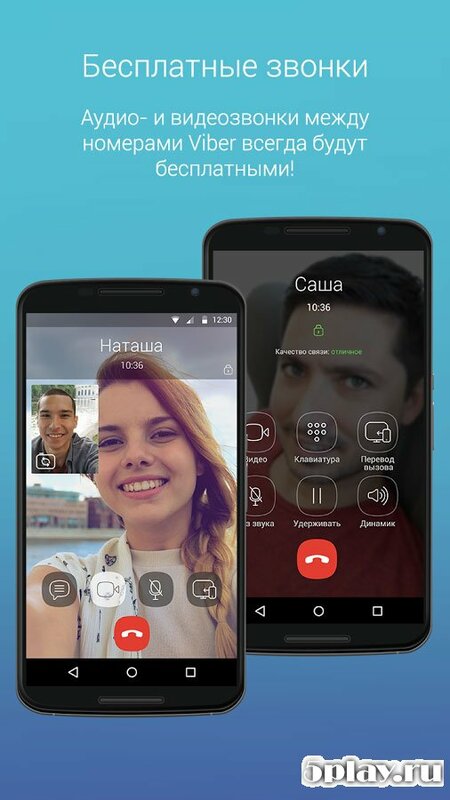 Viber - popular VoIP app for Android, released in 2012. For four years, the program has gained a huge user base from around the world, about 750 million people. This popularity the company has gained through the quality of their product and good functionality. 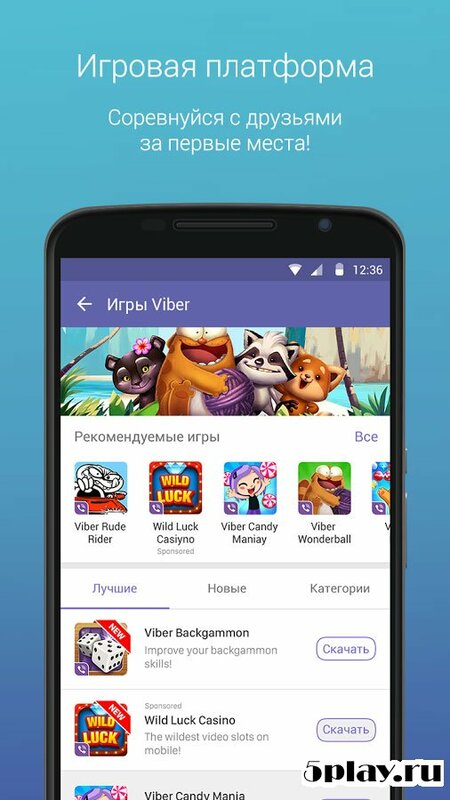 What stands out Viber among the competitors? Well, the first is the user interface, simplicity which captivates at first sight. When you first start, a dialog box opens in which the user should select country code and enter your phone number to confirm your registration. After this quick procedure, it opens the main screen. The top menu has three tabs - Chats, Contacts and Calls. The first is stored in correspondence with users who can delete and edit. 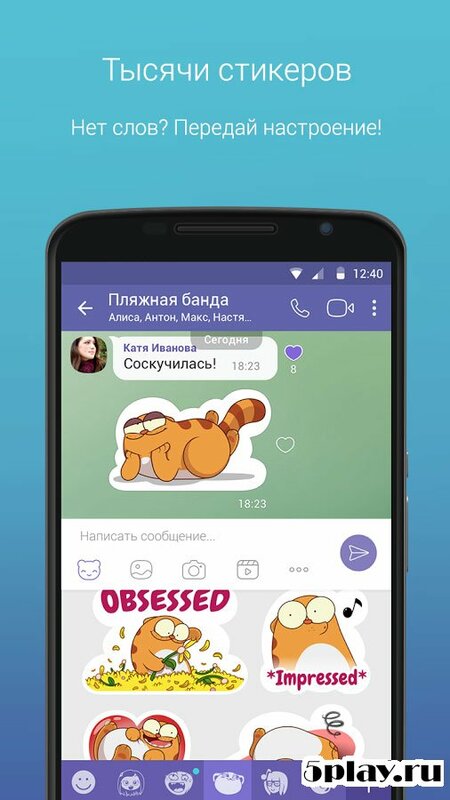 The second tab displays all the contacts with a special icon marking those who have already established themselves Viber. The last item saves the call history, which displays full information about the calls. Swipe from left to right opens the main menu. From there you can launch mini-games, purchase stickers and recharge in the system. Also in the menu there is an item that leads to the main settings of the program. To the interface no specific complaints, it looks beautiful and harmonious. I am glad that the developers quickly responded to the trend with Material Design and fine-tune its product under its concept. Also worth noting is the integration with the default dialer, which considerably simplifies use of the application. 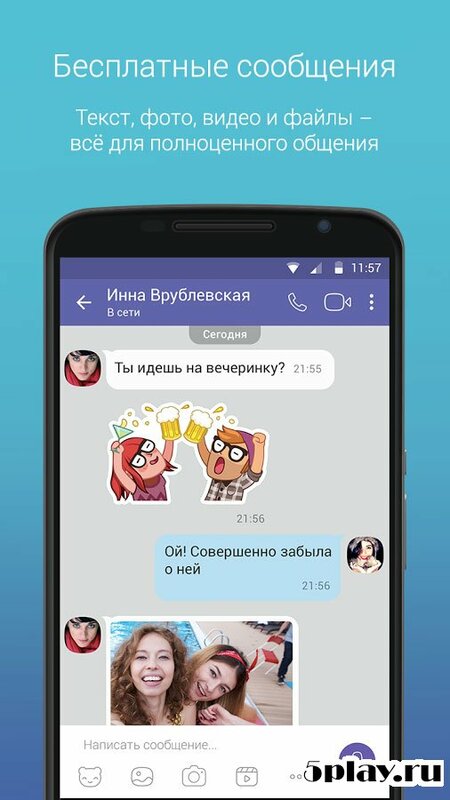 Overall, viber - a good alternative to Whatsapp and Skype. A quick check in the system beautiful and easy interface and high quality to fully cover the needs of the users of smartphones and tablets.